Generic drugs — which some hoped would cure the rising cost of health care — are leaping in price much faster than name-brand medications, a newspaper reports. Some generic versions of popular medications have climbed more than 1000 percent in the past year, and at least one generic alternative is so expensive that a major insurer is not asking patients to switch from the name-brand version, reports the New York Times. Generic drugs made up about half of the prescriptions Americans filled last year, and their share is expected to jump to two-thirds of all prescribed medications — even as the price climbs. 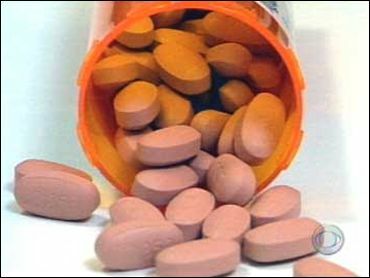 Prices are still higher for name-brand drugs and consumers still spend more on them, the Times reports. But the rate of increase in generics is outpacing that of name-brand drugs. According to figures from IMS Health, in the first ten months of this year, the average price of a name-brand drug rose 8.8 percent to $77.02, and consumers spent a total of $98.6 billion on such medications. Consumers spent much less on generic prescriptions — $19.4 billion — but generic prices rose 15 percent, from $12.79 to $14.70 a prescription. Thus, generic drugs are still a good deal. The problem, as Ronald F. Pollack, executive director of the national consumers' organization Families U.S.A., tells the Times, is, "The benefit often turns out to be considerably less than it could be." The Times cited three reasons for the hike in prices. For one thing, several popular medications lost patent protection this year, and when they first come on the market, generic versions tend to charge prices near those charged for the name-brand version. At the same time, some older drugs that were very cheap have seen their prices rise substantially — for example, Geneva Pharmaceuticals shifted the price of the antihistamine promethazine up more than 900 percent, from 3 cents to 31 cents a dose. Another cause is the increasing concentration of the generic drug industry — itself a product of the low prices charged for the drugs in the past. Usually, after a name-brand drug loses its patent protection, a single generic firm steps in to make an alternative. For what is normally a six-month period, this lone competitor charges a fairly high price. But then other firms move in, prices fall, profits sag and some companies are forced out of the market. This gives those companies remaining room to raise prices again. These surviving companies will move to extract all the profit they can, even if that means undercutting the name-brand price by mere pennies. For instance, when a generic version of the ulcer medication Prilosec hit the stands, it was priced at about $2.95. While that was less than the name-brand price of $3.86, it was not cheap enough to change the co-pay of customers of the insurer Health Net. So the firm did not ask customers to switch to the generic. The United States spends a larger portion of its annual income on health care than any other industrialized nation — about one-seventh of its Gross Domestic Product, roughly $1 trillion in the year 2000. Health care also consumes about 23 percent of the federal budget. Prescription drugs represent about ten percent of health care costs, but their costs have been rising faster than health care as a whole. In order to relieve pressure on consumers and federal benefit programs, Congress and the White House debated several prescription drug benefit programs this year. One plan proposed by the president would reduce the ability of name-brand manufacturers to stall the arrival of generic drugs by filing repeated lawsuits to block generic licensing. That is opposed by name-brand pharmaceutical companies, who argue that the specter of generic competition forces companies to charge very high prices during the years it holds an exclusive patent, in order to recoup the large costs of research and development.